Shirdi Sai Baba Stories,Leelas and Teachings. : Importance of FAITH -PATIENCE-SURRENDER-Experience of Sai devotee Shirish . 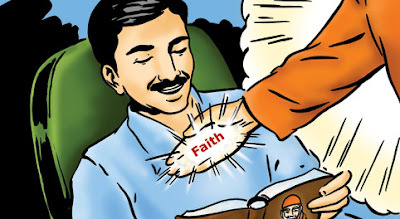 Importance of FAITH -PATIENCE-SURRENDER-Experience of Sai devotee Shirish . It is well established fact that though we try hundred of means or Sadhana,we do not attain the spiritual or any desired goal in life unless a Sadguru blesses us with HIS grace.Once the grace of Guru is on his Bhakta it leads him from darkness to light and he understands the true nature of Bhakti which is complete surrender to the Guru ,unquestionable Shraddha and has unfathomable Saburi.Sai devotee Shirish shares his experience here with all of us on this.Jai Sai Ram . I want to share many experiences of mine related to Saibaba. And I would be thankful to you if you can put this in blog . Saibaba's grace is the only thing which we should seek for. Saibaba always showered his grace on me. In future I will write each and every experience in detail, here I am writing in short. After finishing my engineering studies in 2005 I wanted to get into MBA and I gave exams for the same but did not work so seriously for exam, And then I prayed to Saibaba (I was not aware of our Saibaba at that time).As at my home we have one Saibaba poster on which " Anant Koti Brahmand Nayak Raja Dhi Raj Yogi Raj Para Brahma Shri Sachidanand Sadguru Sai Nath Maharaj Ki Jai" was written, I used to chant that and ask to Saibaba for a MBA seat in some preferred college. I did not get admission in MBA but I got call for an interview from my college placement team and I converted that call and I got job and shifted to Thane. This was Saibaba’s wish for me, which I now realized that it was best in my interest. I continued asking for one or other things or to solve my problems and at the same time I kept on suggesting solutions of my problems to Saibaba. In Thane there is one Saibaba temple where I used to go, but I never seriously understood what Saibaba always wanted to convey to us, I read Shri Saichairtra and learnt more about Saibaba but still I was unaware of Saibabaji, as I never followed what all Saibaba taught us or told us. Some issues about which I will mention later came into my life which disturbed me a lot and I can say it changed my life completely. I worked for 3 years in Mumbai and did Jobs in two companies and got best salary hike and learning experience after shifting my first job. I again started looking ahead for a MBA course. It was Saibaba’s grace that I got good best working experience and best salary in short span of time. Till this time of my life I never realized the actual importance of Faith and patience, devotion and satisfaction. With Saibaba’s grace I got admission in MBA in year 2008 in the best college and where I wanted to get admission. I was so happy. But I did not work hard till now. And more than this the tension which I mentioned earlier took most of my time. I went to Chennai for my summer internship in the month of May-2009 and was there till July-2009. In between this period I was so frustrated with the issue (which I mentioned) that mind was becoming and behaving in the worst possible manner which I can imagine. I was not able to live happily. Till this time after getting in touch of Saibaba from 4 years I was not aware of actual meaning of Faith, Patience, Devotion, surrender and what all Saibaba want us to do. Then Saibaba helped me. 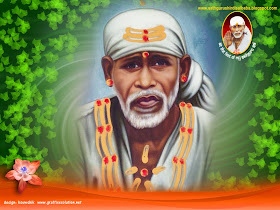 As I was having ample time and good internet connectivity in Chennai, I spent much of my time in reading blogs related to Saibaba’s grace and devotees’ experience. This really increased my faith, but frustration was still there and was troubling me a lot. Than I read article on Meditation on Saibaba written by Alpheshji (http://www.babasaiofshirdi.org/2007/09/meditation-on-sai-baba-of-shirdi.html) and I read many articles in Manishaji's blog and then I asked few queries to Manishaji and she replied and I can say that was turning point of my life. It was Saibaba’s grace that I read these blogs at that time and talked to Manishaji and Alpheshji. I started following what all Saibaba taught to us, I surrendered all my problems to Saibaba and prayed him to keep my mind free from all sorts of fear, anger, ego, frustration and all negative feelings. 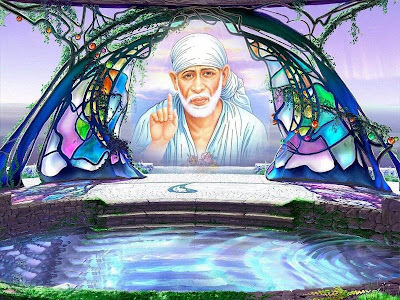 Again due to Saibaba’s grace I was able to free my mind from tensions and fear. Now while reading Sai Satcharitra book I am learning what all Saibaba told and taught. I want to tell everyone that please surrender all your issues, problems and concerns to Saibaba and don’t ask for any particular solution. Whatever Saibaba has decided is best in our interest. I have realized importance of surrendering the issues and everyday I am learning how important is faith and patience for us. Today I know only thing which is important in my life and everyone’s is to pray for Saibaba’s grace, Saibaba and his grace are the only best friends. The problem which I have mentioned above will get over with Saibaba’s grace. And I will post that soon . I am really thankful to Manishaji and Alpheshji, Hetalji for creating such wonderful blogs.Thanks Manisha ji and Alpesh ji for answering to my queries.